One important lesson to learn from recent events is that the official policies and programmatic measures deployed to address the energy supply challenges in the country are just not working and it is time to explore new ideas and methods. The over-dependence of the energy sector on petroleum has slowed down the development of alternative, and much cleaner, fuels. The recurrent fuel scarcity situation presents a unique opportunity to develop new technologies, and increase investment in critical infrastructure needed to diversify Nigeria’s energy mix. The situation in Nigeria today is far from ideal: no fuel, no electricity, no water; compounded by scorching heat, rising food and transportation prices. The majority of filling stations are under lock and key, while the few dispensing fuel have unilaterally hiked the pump price of petrol from the official rate of N86.50 to between N100 and N150 per litre. With the economy in tatters, and naira values falling like a house of cards, families—particularly female-headed households—live under pressure, as job losses mount, school fees skyrocket and housing rental costs soar. Beyond the far-from-ideal situation, the greatest source of worry to many is that there is no projection of its end in sight. Since the nineties, the twin challenges of fuel scarcity and power outages have been recurrent phenomena in Nigeria. The demand for petroleum products continues to exceed supply, especially as Nigeria’s four refineries function below the refining capacity required to meet local energy demands. Capacity has remained at 445,000 barrels per day since the late 1980s, despite the dramatic rise of Nigeria’s population from over 95 million in 1990 to over 170 million in 2014. The situation is similar in the power sector. Nigeria has huge natural gas reserves and enormous renewable energy potentials but its power-generating capacity—only about 4,000 MW—is unable to meet the energy demand of the rapidly growing population. Average power generation stood at 3,200MW in 2011, and for the first time ever in February 2016, peaked at 5,074MW, producing the highest maximum daily energy of 109,372 megawatts hour (MWH). This was still low compared to the estimated demand of 12,800MW needed to match demand with supply. Owing to the chronic electricity supply shortages, households and businesses depend on petroleum products (mainly petrol, diesel and kerosene) as alternative sources of energy to light up homes, carry out basic domestic chores and power the industries that create jobs. Scarcity or unavailability of energy alternatives aggravates mass suffering, and can make life unbearable. The lamentations below by grieving Nigerians sum up the excruciating hardship citizens have had to endure last week. Maxwell Adeyemi Adeleye disclosed: “I bought the water that I used to bathe, clean my toilet and wash my clothes this morning for N500 ($2.50). Also, the traffic gridlock in town is, indeed, hemorrhaging. Motorcycle rides from my house to Berger Bus Stop that was N100 last week is now N150”. Mr. Onyekachi Emmanuel adds: “I joined a queue at a gas station at Central Business District opposite NNPC Headquarters, Abuja at 8:a.m. As of 3:33pm, I am still in the queue”. Because of their traditionally-gendered roles of cooking, heating, laundry, storage, women bear a higher share of the burdens associated with fuel scarcity and electricity shortages. 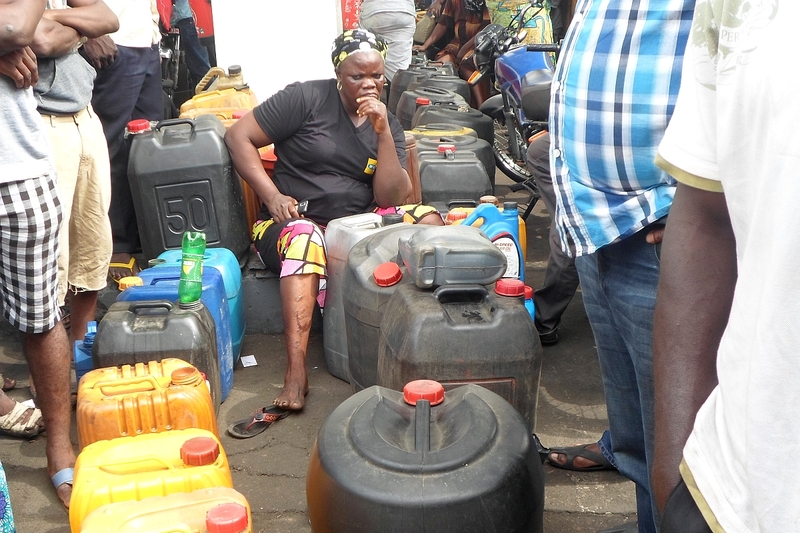 A young woman disclosed on social media that she bought fuel on the black market at a rate of N12,000 for 40 litres to power generators in her home. Because of prevailing inequalities in income—on average, women have lower incomes than men—procuring fuel at such prohibitive prices puts an additional strain on women. The inability to refrigerate or preserve food also forces women to cook or heat frequently, leading to loss of nutritional quality, food wastage and drudgery, taking up valuable time that women would have used for other productive activities. Not only that, the regular boxing bouts, violent pushing and spontaneous fights witnessed daily at the few filling stations that still dispense fuel have left women more vulnerable to violence and physical harm. The availability of alternative energy sources not only lessens the adverse impacts of electricity shortages on vulnerable segments of the population in times of fuel scarcity, but is also necessary for the substantially reducing global greenhouse gas emissions. Women, and households living in poverty, including the rural population, particularly stand to benefit from these national efforts. Since May 29, 2015, Nigeria’s fuel supply crisis has lingered for over nine consecutive months, with only random short breaks in-between. Frighteningly, the inadequacy of power and fuel has now reached the lowest levels never before experienced or anticipated. As of last week, the Transmission Company of Nigeria announced that power generation had dropped drastically, from 4,387MW to 1,580.6MW. Vandalisation of gas pipelines, leading to the shortage of gas supply and disruption of gas supply to power plants, top the long list of reasons blamed for the drastic drop. In addition, strike action by workers of the Nigerian National Petroleum Corporation (NNPC) prevented the loading of petroleum products at depots, escalating the fuel shortage and reducing gas supply. Power plants have struggled to upgrade and re-tool because of the scarcity, as well as to pay off international debts, because of the weak currency and foreign exchange. What makes the lingering fuel crisis particularly perplexing is that the elementary forces that previously triggered fuel shortages are supposedly absent. For instance, recent retail price modulation prompted by the declining oil prices in the international market has painlessly eradicated gasoline and kerosene subsidies. Therefore, there are no more marketers holding the government to ransom on account of subsidy arrears. In the same vein, gas prices have been upwardly reviewed to attract investors. Electricity tariffs were also increased recently by as high as 45 percent. Higher tariff burdens have not improved electricity supply, but instead appear to have passed the high costs of avoidable inefficiencies to customers who now have to pay more for darkness. More tellingly, Nigeria has moved from the era of heavy subsidy payments to a new era of over-recovery following the recent revision of the petroleum products pricing template for Premium Motor Spirit (PMS) and Household Kerosene (HHK). Substantiated media reports, including the PPPRA’s pricing template, showed that the government is already making N13.81 on every litre of petrol as of February 16, 2016, generating savings of over N2.6 billion as a result of the price modulations. In February 2016, Spaces for Change submitted an FOI request to the Petroleum Products Pricing and Regulatory Agency (PPPRA), requesting it to declare and publish the over-recovery earnings on PMS and kerosene. It should also be recalled that the Nigerian National Petroleum Corporation (NNPC), in November 2015, cancelled the call for commercial bids issued to 44 shortlisted bidders comprising of 34 international firms and 10 indigenous companies. The bidders are primarily middlemen authorised to engage in crude oil sales through the vehicle of Offshore Processing Agreements. In March 2016, the federal government further jettisoned the crude oil swap arrangements and the associated Offshore Processing Arrangements. It replaced these schemes with the “Direct Sale—Direct Purchase” alternative, touted as more efficient because of the wider latitude it gives NNPC to directly sell crude oil and purchase petroleum products from credible international refineries. The executive boasts of “greater efficiency” expected to result from these new reform measures in the oil and gas industry but this is still unrealised. More so, it is unclear how much longer the reform experimentation will last before desired outcomes begin to manifest. The unending fuel scarcity is a new low, increasingly gaining public recognition as the “new normal”. This growing perception of normalcy is imparting an unusual numbness, and fueling an unremarkable resilience to upsetting conditions that formerly elicited public outrage. If government by the people for the people means anything, something about the way the energy sector is managed needs to change and soon. One important lesson to learn from recent events is that the official policies and programmatic measures deployed to address the energy supply challenges in the country are just not working and it is time to explore new ideas and methods. The over-dependence of the energy sector on petroleum has slowed down the development of alternative, and much cleaner, fuels. The recurrent fuel scarcity situation presents a unique opportunity to develop new technologies, and increase investment in critical infrastructure needed to diversify Nigeria’s energy mix. 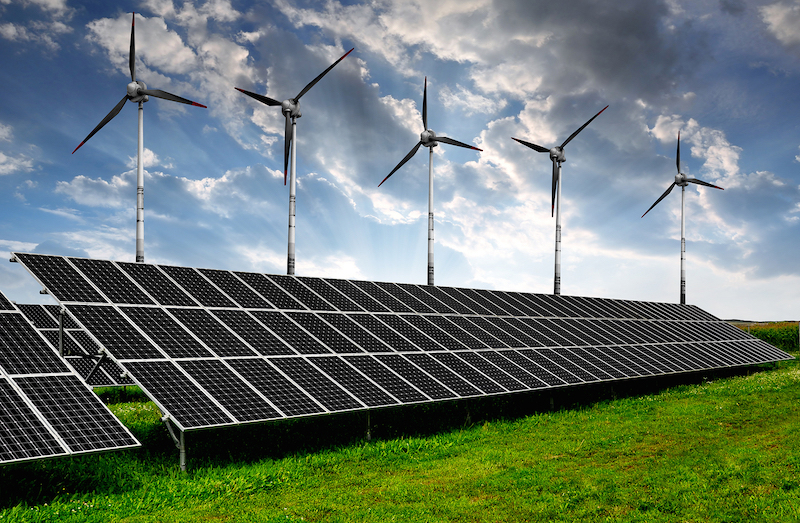 Renewable energy sources—such as solar, wind, hydropower from natural falls, flowing rivers, oceans waves and currents, biomass (wood fuel, ethanol, willow coppice, waste, and agricultural products and crop residues)—abound in Nigeria. But the renewable energy generation growth of 8 percent and 16 percent projected between 2020 and 2030 respectively is only realisable by developing sustainable financing solutions for accelerating the development and commercialisation of renewable energy. National Electricity Regulatory Commission (NERC) has taken the most important bold step forward by developing tariff regulations to encourage renewable energy production in Nigeria. Matching policies with concrete action is now necessary, especially by committing significant resources to renewable energy development. The availability of alternative energy sources not only lessens the adverse impacts of electricity shortages on vulnerable segments of the population in times of fuel scarcity, but is also necessary for the substantially reducing global greenhouse gas emissions. Women, and households living in poverty, including the rural population, particularly stand to benefit from these national efforts. In the short term, the gas supply disruptions linked to oil workers’ industrial actions are clearly avoidable. The disagreement between the federal government and striking NNPC workers could have been handled differently in order to abate the resistance trailing the alleged infractions on workers’ rights. Unbundling the NNPC is a bold move already proposed in the Petroleum Industry Bill (PIB), with clearly-enunciated phases, procedures and timelines. The latest proposed oil regime – Petroleum and Institutional Governance Framework (PIGIF) – borrows and replicates the unbundling procedures espoused in the PIB. Neither the PIB nor the PIGIF has been passed into law, leading to confusion about the legal framework enabling the all-of-a-sudden reform interventions in the petroleum sector. Consequently, the handling of NNPC unbundling activities have for the most part, been shrouded in mystery, and bereft of adequate consultation with the range of stakeholders that may be affected by the restructuring arrangements. Using alternative routes to achieve the government’s unbundling objective is a measure that needs to be grounded in transparency and accountability, and this seems to be lacking. If government by the people for the people means anything, something about the way the energy sector is managed needs to change and soon. Victoria Ohaeri is the executive director of Spaces for Change, a youth-development and policy advocacy organisation based in Lagos, Nigeria. She can be reached on victoria@spacesforchange.org.